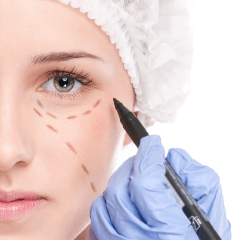 You New Plastic Surgery Clinic offers the latest cosmetic procedures in a comfortable and discreet environment. We offer a range of cosmetic procedures and treatments to meet each individual's needs and goals. Facial ProceduresAt You New we offer a range of facial surgery procedures. Plastic surgery is a major step toward looking beautiful and feeling self-confident. At You New Plastic Surgery Clinic in Dubai we offer a wide variety of procedures from liposuction to chest augmentation that will help you look and feel your best. We offer a comprehensive range of surgical and non-surgical procedures that will enhance your appearance. Internationally trained plastic surgeons in You New Clinic provide high quality boutique patient care. Every pre-operative aspect is thoroughly discussed one-on-one between doctor and patient. Our focus is on achieving the desired results in a safe and secure environment. We provide only realistic expectations and set out deliverable goals. We commit to achieving your cosmetic goals using top-of-the-range equipment and highest industry standards. Through thorough discussion we enable patient education and help make informed decisions. We always stay up-to-date with advancements in the field. Our goal is to provide stress-free pleasant experience to all our customers. Which is why our staff at Dubai You New Plastic Surgery Clinic is skilled, knowledgeable and friendly. They will address all your concerns, discuss all options and ensure that you achieve the desired outcome. 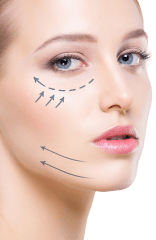 All your procedures will be performed by expert plastic surgeons who use only up-to-date industry techniques to help you achieve your cosmetic goals. As one of the best plastic surgery clinics in Dubai, we focus on 100% customer satisfaction rate. Every client is unique which is why we thoroughly discuss all your requirements and concerns before finding a unique solution just for you to achieve the best aesthetic results. Our approach to patient care and safety has allowed us to build a solid reputation of one of the best plastic surgery clinics in Dubai. We make it our goal to follow the latest industry trends which is why our surgeons and nurses undergo training on the ongoing basis to maintain the highest standards. We commit to deliver the high quality care in optimally equipped facilities.